and decided to get sketching. improve as i get back into it. These are the first of done in 3 months ! You have a good amount of potential, a couple product design classes to teach you a little more on the basics, prespective, rendering, techiniques, etc. and youll be good. One thing i would suggest is structuring out ur sketches with a pencil or something, yunno perspective lines that make sense, and the idea that everything is a basic shape. You tend to only indicate shadow, shape, and lighting. I think a design class would really benefit you a lot. It does seem a bit dodgy with beginning classes and such, but if you dont start out learning them, your stuff will always look awkward. Foundation skills ARE important, many people think they dont have to take beginning classes; they're too good for them... But take them, even if your not learning anything, a second round could only benefit you. Anyways, practice makes perfect. If you're serious and determined about this stuff, you will succeed. As far as the sketching goes, theyre fine as initial ideas and development sketches in terms of style but there isnt any development on your page. Youre not exploring the boundaries (what sketching is for in design) and you ve only come up with different shapes! 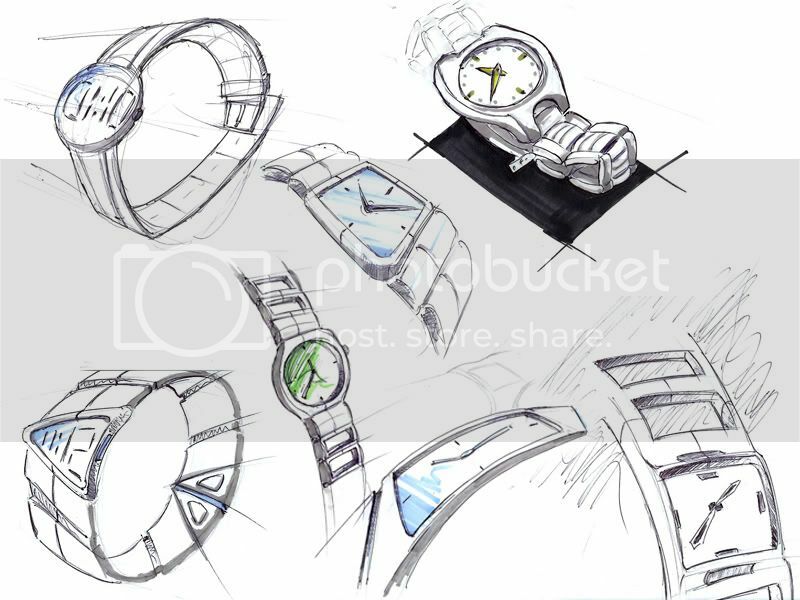 (So it seems) What about designing the product rather that designing the sketches! 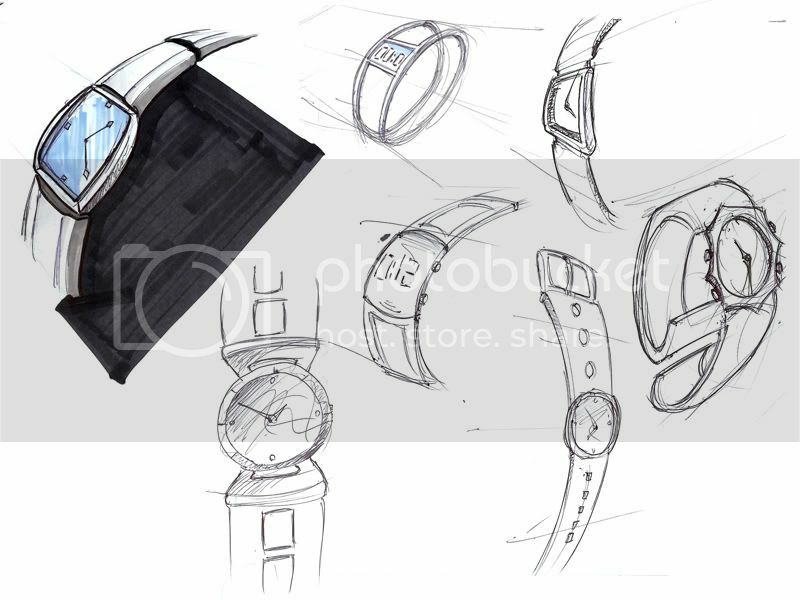 Look at close ups of the strap fixtures, the clock hands, how do yoou change the settings/ battery? Adding little thunmbnails of these features will make you much better at skecthing different views and getting whats in your head down onto paper! Keep it up though...looks promising! hey stig n jay , thanks for the advice will take it on board ! I wasnt going for any sort of development for these sketches, just abit of practice to get me started back again !